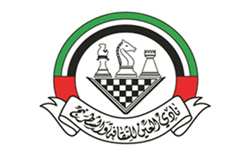 The Al Ain Chess Club is holding the $30,000 Al Ain Chess Classic with the unique format of a Swiss tournament bringing in from the knock-out event the Masters from the World Cities Chess Team Championship 2012. The individual tournament will be a 9-round combined Swiss Al Ain System wherein players eliminated from the first three stages of the World Cities Team Championship, namely Preliminaries, Round-of-16 and Quarterfinal, join the individual event and carry over their points from the team event. Team members shall be given half a point for each round in which they were not fielded in the World Cities. Draw offers are not allowed before Black’s 30th move. All moves in 90 minutes with increment of 30 seconds per move starting from move 1.